1. Select a community club that works for your family. 4-H clubs have five or more youth who are supported by 4-H leaders. 4-H members, elected by their peers to officer roles, conduct club meetings. 4-H club meetings include: getting to know other members, youth making decisions about activities, planning and doing community service projects, sharing ideas, recreation and having fun. 4-H is for the whole family where youth and adults come together to learn new things, meet new friends and have fun. Parents/guardians are encouraged to participate and attend meetings with their children. Adults help by volunteering time and sharing talents. For example: driving members to activities, supporting project learning, chaperoning and being a positive role model. 2. Contact the club’s Organizational Leader to let them know you are interested in joining the club and confirm the meeting day, time, and location. Attend the club monthly meeting and introduce yourself to the Organizational Leader. 4. Review the New Family 4-H Folder information given to you by the Organizational Leader. If you have not received a New Family 4-H folder, please contact your club or the Extension office. 5. Select the project(s) that you are interested in for the year. The project guide below lists all of the projects available in Winnebago County. 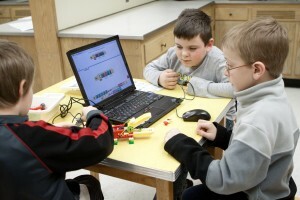 Youth in K5 – 2nd grade enroll in Cloverbud and no other project. Youth in 3rd – 13th grade can select any project(s). It is suggested that youth in 3rd and 4th grade enroll in the Exploring project. Start out by selecting one or two projects. More can be selected if youth and parents/guardians feel they can handle it. Check on project leaders for programs. If the club or county does not have leaders, the parents and youth will need to work on the project independently. Visit our Project Information Website for more information about project opportunities available. Annual Re-enrollment: 4-H Youth Members and Adult Leaders/Volunteers need to re-enroll annually through 4HOnline. Re-enrollment begins in September; the deadline for re-enrollment is November 20 (this allows club/county leaders to access rosters for communications, etc). Final 4-H Project selections must be made in 4HOnline by January 31 (annually) for youth who wish to exhibit at the County Fair. This allows youth time to explore & learn in their 4-H projects before choosing what they want to exhibit at the fair (Fair entry typically occurs in May/June through the Winnebago County Fair Association). 7. Member Dues for the year are paid to the club by the club’s deadline date. County dues are $10.00 per year per member. Local 4-H clubs may have additional dues. Please contact our office with any questions at 920-232-1974. Requests for reasonable accommodations for disabilities or limitations should be made prior to the date of the program or activity for which it is needed. Please make such requests as early as possible by contacting the UWEX-Winnebago county office (920-232-1974) so proper arrangements can be made. University of Wisconsin-Extension, U.S. Department of Agriculture and Wisconsin counties cooperating UW-Extension provides equal opportunities in employment and programming, including Title IX and ADA.